Gunma Prefecture is located in the north west area of Kanto region on the main island of Honshu. 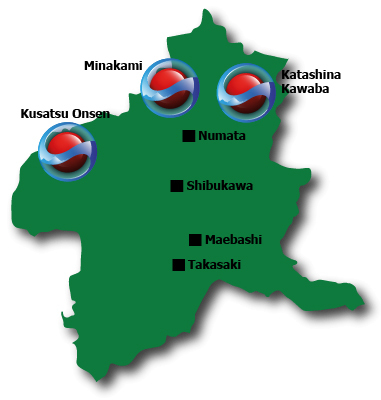 Gunma shares borders - and easy access - with Niigata Prefecture to the north and Nagano Prefectureto the west. There are about 25 ski and snowboard resorts in Gunma Prefecture. They are mainly concentrated in the north and north-east regions of Minakami and Katashina and over to the west in Kusatsu.